Social Media Portal (SMP): What is your name and what do you do there for WBR and Digital Travel 2019? 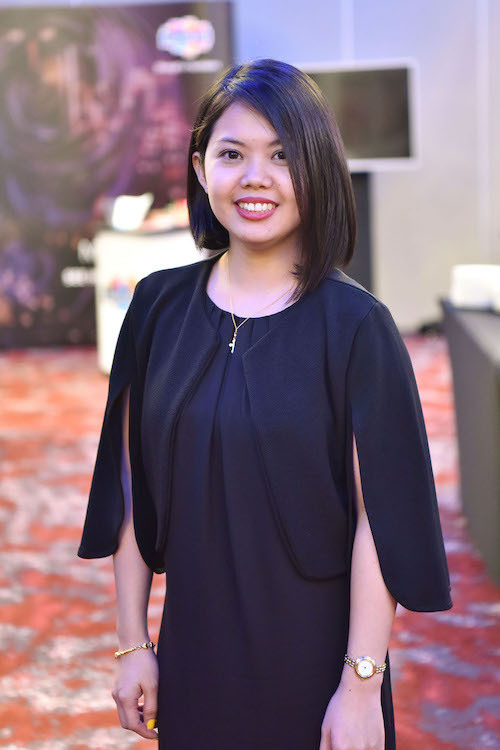 Gladys Caligagan (GC): My name is Gladys Caligagan, conference director of Digital Travel. I look after the programme agenda and speakers for this event. GC: On the 01-03 April 2019, we will be bringing the party to Resorts World Sentosa, transforming the island for three days into the digital travel capital of APAC, with all major market participants descending to Singapore to shape the future of travel. SMP: How long has the event been going and what does it strive to achieve? GC: Digital Travel started its Asia series in 2016. With 400+ heads of ecommerce, digital marketing and customer experience from the regions leading airlines, hotels, OTAs, metasearches, cruise lines, car rentals, tours and attraction, tourism boards plus the key industry experts and technology partners exclusively under one roof at one time, this is a must-attend meeting to benchmark your ecommerce, digital marketing and customer experience strategies and shape the future of the travel industry. SMP: What’s doing to be different to last year? We are very much excited with the total number and quality of our participants attending Digital Travel APAC this year – Singapore Airlines, Traveloka, Ctrip and Klook to name a few. New and exciting products and services that our exhibitors and sponsors can offer. It’s going to be a fun experience we’re preparing for our attendees i.e. magician, a clown doing tricks and making balloon animals, claw machines with prizes and plenty of food and drink to go around this will be an experience you’ll never forget! SMP: Is there anything stakeholders should know about now? GC: Speaking and sales opportunities are running out and this is the do-or-die situation. We’ve confirmed 80+ speakers and 20+ sponsors and exhibitors. We are not a trade show, so very limited slots are available. SMP: What do you hope about Digital Travel 2019 delegates will take away from the event and why? GC: Digital Travel APAC aspires to provide a true community of like-minded leaders to ready your business for today and tomorrow. We’ve curated networking sessions to ensure that you meet different people every day. SMP: Why is about Digital Travel 2019 an important event for the industry? GC: We are focused on your specific needs better than anyone else. Our agenda is built on 100 hours of talking to travel leaders in research; it is ‘The’ event where every challenge and opportunity you face is addressed and where you learn from the best speakers from the best companies – the true innovators. GC: We have tons of interactive sessions that you can choose from. There will be group discussions, workshops, travel executive-only sessions, roundtables and a lot more giving you the interaction you crave at other shows. SMP: What are the challenges that you’ve encountered and how are you overcoming them in what you have been doing so far at Digital Travel 2019? GC: There has been a change in speaker’s schedule. We have to let go some speakers because of the sudden business trip plan after the agenda is finalised. Most of them are kind enough though to find replacement but if there is none, there is always a plan b and c.
GC: 80+ senior travel leaders in Asia have been confirmed as speakers, and a lot of enquiries about speaking we are still receiving. Seeing this translate to growing audience re-enforces the fact that we are on the right path. GC: Digital Travel APAC has an event app which is a very useful onsite tool. The app will allow you to have an access with the updated schedule, get notifications when there is an announcement, view the speakers’ profile, set up meetings, message other participants, participate in competitions, ask questions, share your thoughts, and so much more. More information will be sent to our registered participants closer to the event. SMP: Best way to contact you and Digital Travel 2019? GC: I am on LinkedIn – friend me, message me, link to me. It’s all good. You can also contact us via our website. Watch the highlight video from Digital Travel 2018 to know what to expect. GC: I had the traditional Kaya butter, toast bread and hot lemon tea (with no sugar) for breakfast. GC: We’ve stocked up non-perishable food in the car last December for the street children or vendors in Manila knocking our window. You should’ve seen their faces after receiving the goods. Very rewarding! SMP: If you weren’t working on Digital Travel 2019 what would you be doing? GC: Building my own ecommerce platform. GC: I’ve spent three weeks with my family in the Philippines for Christmas. GC: Fix my table and ensure that it is clean (guilty of OCD). GC: Teleportation so I can visit all the cities that I want to when I want to. Secure #SMPDiscounts for Digital Travel APAC 2019 via the SMP event listing and hashtag #DigitravelAPAC. Got an interesting story or event to share? Get in touch.